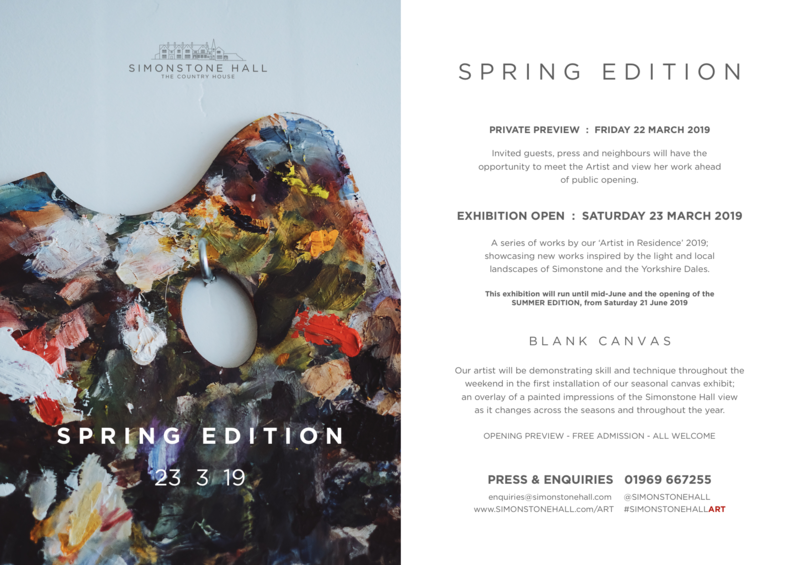 THE SIMONSTONE HALL ART SERIES 2019 is inspired by the Yorkshire Dales and aims to support and introduce a number of very talented local artists. 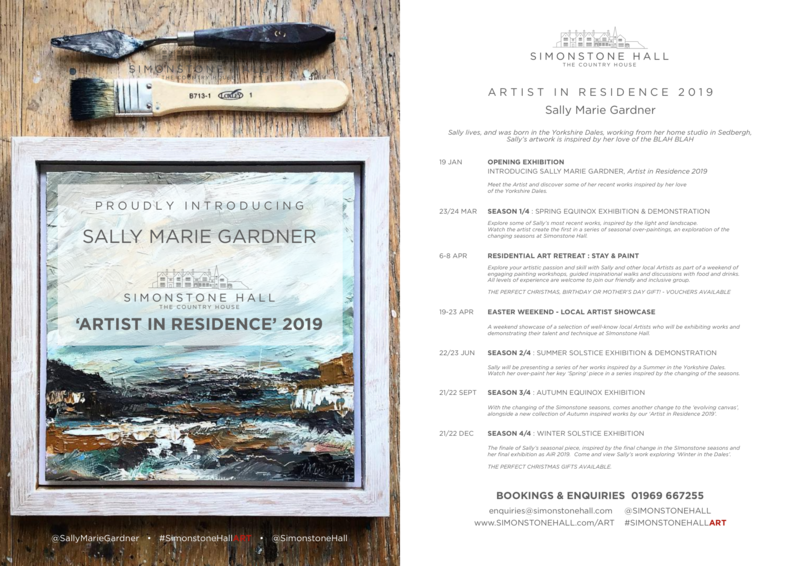 This year, we are delighted to introduce Sally as our ‘Artist in Residence’, and we are excited to see her work evolve through the seasonal exhibitions, workshops and demonstrations Sally will be hosting for friends and visitors to the Hall. SALLY MARIE GARDNER is a Contemporary British Artist that is influenced by light and energised by the surrounding wilderness of her Yorkshire homeland. Her paintings are a direct response to nature and her experiences in it. 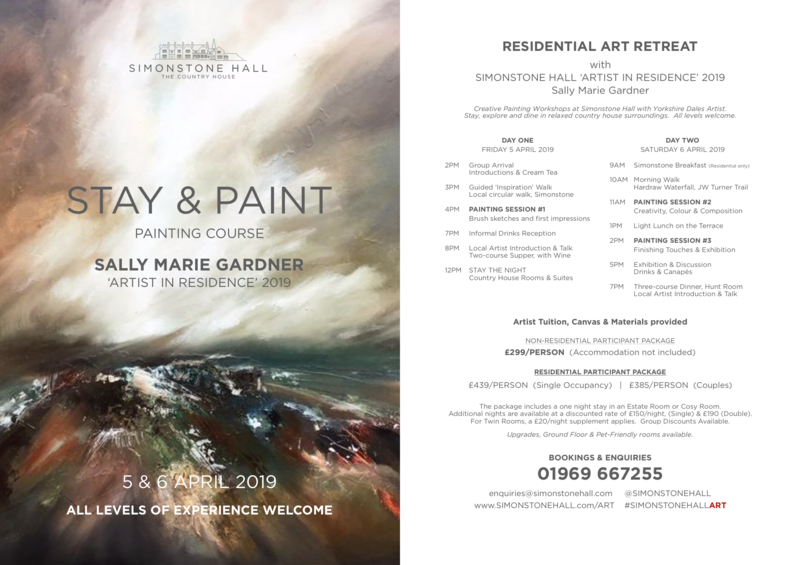 Dramatic skies and sweeping landscapes are expressed through the gestural application of paint, creation of layers and texture within her artwork. Each piece hopes to evoke an emotion from the viewer, create a mood or trigger a memory as well as capture a sense of place. 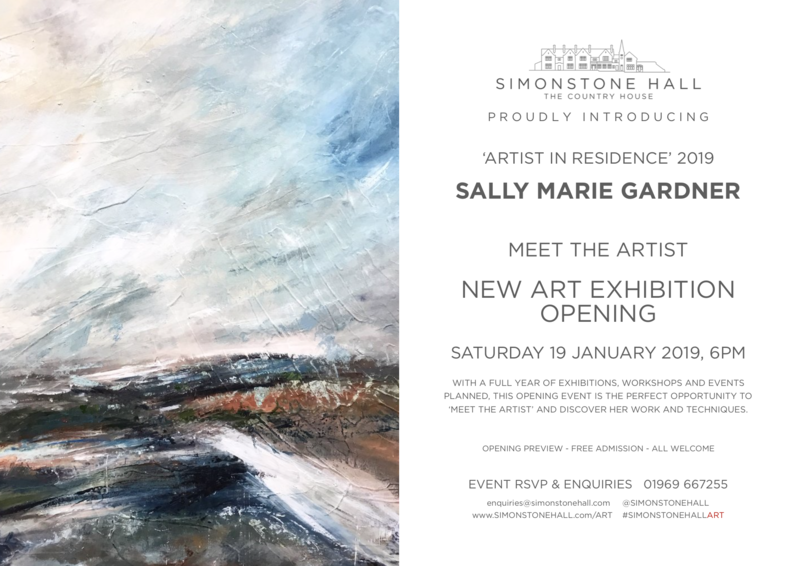 Since gaining her MA in 2016, Sally has been working on a range of projects as well as exhibiting her contemporary landscapes and abstract pieces in galleries across the UK.